Check out this 2nd part and be ready for the next one soon! In this 02/14 part Konstantinos will show you how to finish the basic shape of the Dragoman's head in 3ds Max. You can find useful reference on 3D.sk site and create your own Dragonman! It‘s the biggest online source of hi res human and animal photo references for 3D artists and game developers. 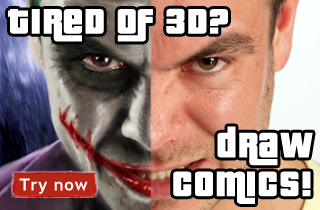 You will find here more than 439,000 photos for modeling and texturing your 3D characters.